Do you wish your teeth were whiter? Have you tried whitening toothpaste or whitening strips but have been disappointed by the results? If the answer is YES, Smiles By The Sea provides professional tooth whitening or tooth bleaching services to give your smile an upgrade. Tooth stains can be caused by any number of reasons such as coffee, tea, smoking, and aging. Stained teeth can detract from your smile’s appearance and make you feel self-conscious. Although there are many over-the-counter whitening products available, such as toothpaste, strips, and pens, most of them are only able to whiten your teeth by 1 or 2 shades. This is because they contain a low amount of hydrogen peroxide which is the main ingredient used to remove surface stains. As a result, if you are looking for noticeable results for your smile, you may be disappointed. Smiles By The Sea, cosmetic dentistry in Belmar, provides a home tooth whitening kit which allows you whiten your teeth without having to leave your home. The tooth bleaching gel and mouth trays are custom-made for your teeth so as to produce better whitening results. Dr. Sniscak, your cosmetic dentist for Belmar and Spring Lake, will work with you to craft the picture perfect smile. 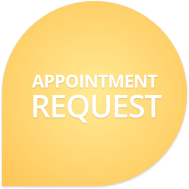 Contact our practice at 732-681-2225 to set up an appointment.